UPDATE 7/2/08: Around 6/29, the INSP website removed the link to "FBC Jacksonville" from their ministry list, and there is no FBC Jacksonville program on their July 2008 schedule published at their website. So either this was an error on the part of INSP, or for some reason the programming was pulled at the last minute. So as best we can tell as of July 1, there is no FBC Jax programming on the INSP Network. Would be nice to get an update from the pastor on this during announcements in a worship service, seeing as he saw fit to ask us all to give to this ministry on Easter Sunday, but that apparently is asking too much. The Watchdog will continue to monitor and will update as necessary. Congrats to Mac Brunson - the Sunday after he told us all how we need to stop spending so much and need to tithe, Mac has managed to find the funds necessary to put himself back on nationwide TV. FBC Jax church members will recall how Mac took up a special "Media Evangelism" offering on Easter Sunday to raise $180,000 to get his sermons back on nationwide TV. I blogged about it here and here. I don't recall Mac giving us any update on whether the goal was reached. This usually means the goal wasn't reached. But either it was, or they found the money somewhere, because starting this Sunday at 7:00 pm Mac is back on nationwide TV, Sunday nights at 7:00 pm on the INSP network. Click here and you'll see the FBC Jax hyperlink added this week to the INSP ministry list. Another example of the ego and misplaced priorities of Mac Brunson: we could have used the $180,000 for other ministry and had an outreach via archiving video of our services - but there is nothing glamorous about that - the mega pastors move up a notch in the echelon of mega church pastors if they can get on a nationwide network. All part of the "Mac Brunson" branding strategy - all on the backs of FBC Jax members. Way to go Mac and our crack team of Trustees! We love how you spend our money! It would have been nice to tell us. As you'll see below, Mac accused his congregation of "robbing God". What does "robbing God" look like? Perhaps it looks like a deed signed by a greedy preacher to take property valued at $307,000 that he could have directed the giver to give the church and avoid the appearance of a conflict of interest and benefit the church. Mac's defenders say this gift was given AFTER Mac had agreed to come, thus its reasonable to assume the church had already offered Mac a generous relocation package. So Mac Brunson, YOU ARE THE ROBBER OF GOD, not the faithful people of FBC Jax. Click HERE to see what "robbing God" looks like. This past Sunday Mac displayed a little bit of everything...he showed just why many in our church are beginning to doubt Mac Brunson is the man called to lead our church into the next generation. While some heard him and loved every minute of his "sermon", and giggled and clapped like little girls while he displayed his raw arrogance and a clever ability to misuse scripture, many left wondering how we have fallen so far as to have to endure this "preacher" in our church. - He had an opportunity to tell the truth to his congregation about something that has concerned many members, that is the accepting of a $300,000 land gift from one of our members - but instead chose to purposely deceive people about it. - He didn't preach a certain text, but hunted and pecked to find scripture to make the points he wanted. - He chose again to put the yoke of "tithing" on the people (listen here), declaring that we are robbing God if we are only giving 3%, and declaring that people who are in financial trouble are likely in trouble because they don't tithe. - He declares that people who might take exception to his interpretation that tithing is required and that it must all come to the "storehouse" as being "from Satan". - speaks condescendingly to his congregation - that they should "thank Jesus" they didn't get a raise last year, because no body needs more money - they all just need more spending discipline. In fact, we're all so stupid that if we got more money we would all be more in debt! Sorry Mac, you're an arrogant, rich jerk - as prices for food and fuel rise drastically - the "little guy" out here that doesn't make your huge salary DOES NEED A RAISE. He uses the government as an example - but if its good that we don't get more money, and the government shouldn't get any more - than why is his hand out all the time asking US FOR MORE MONEY FOR THE CHURCH? What, our church can't get by on $15 million per year? This is all too much to comment on in one post, so we'll take this in parts. The Big Lie About His Land - How Clintonesque Can He Be? Hearing Mac preach on finances is like listening to Bill Clinton speak on marital fidelity - Mac has no credibility to be preaching to us about spiritual principles on finances. He tells his congregation that they are robbing God if they are only contributing 3% of their income to the church, while he himself selfishly accepted a $300,000 gift that he could have directed to the church. According to Mac's defenders who say Mac or the search committee knew nothing in advance about this gift, it stands to reason that our church had agreed to comfortably meet Mac's family's needs in his transition to Jax, but that wasn't enough to satisfy Mac - no he needed to build a "bigger barn". When one of our members offered him a $300,000 land gift just days after his arrival in Jax, Mac jumped at the chance and accepted it and built a million dollar home. He's a liar on par with Bill Clinton, what else can you say? Its Clintonesque to say "I'm paying for that house"...because that is a half truth (remember he said there are no "little white lies" - listen here and turn down your speakers)...he means that "the house", the physical structure, yes he is paying (through the generosity of the church paying him a huge salary)...but if he was honest and interested in helping his congregation understand the land gift issue he would have acknowledged that the land on which it sits he is NOT paying for that, it was DONATED. This is purposeful deception on his part. He knew that many in his congregation were concerned over two things: the lavishness of his house and lifestyle, and the accepting of the land gift. He arrogantly dismisses the first issue - as though the legality of his behavior is the ultimate standard when he already said at the beginning of the sermon it was not - then he confuses the issue of the land gift by saying he is paying for the "house". The most common use of the words "our house" in relation to our debt or our asset - we mean not just the physical structure, but the structure and the land ("I'm selling my house" - means the structure and the land). So many in our congregation who have just heard bits and pieces of the land gift issue heard Mac say that there was no gift, that HE is paying for it. Very clever; I have to hand it to Mac - he is one sly little devil. That's OK Mac, go ahead and keep your congregation in the dark about the land gift. Tell your little white lies about the land gift...but as you said a few weeks ago, little white lies become MAMMOTH PROBLEMS. You have a "mammoth" problem on your hands, Mac. Come clean Mac. Stop the arrogance Mac. Stick to preaching the Bible (and history), Mac. Share with your congregation the circumstances of the gift, Mac. Most of your congregation will probably stand and cheer, and in fact there are probably a few gullible sheep who will follow J.D. Colllins' lead and donate MORE land to you - if you would just explain it all. Thought the people of Jacksonville would like to hear what Mac Brunson believes about hurricane relief here in Jacksonville. Mac actually says: "I hope that if a hurricane hits this city [Jacksonville] that the federal government doesn't get involved. I pray that the church rises up and does what the church is supposed to do." The gall of that man. Yes, the federal government responded terribly after Katrina hit New Orleans - just ask New Orleans pastor Fred Luter - he preached about his experience after Katrina. But still the federal government has the resources to help in disaster relief. Right now while Mac and the A-Group are planning how to start this satellite, while Mac is planning his next book and how to get back onto nationwide TV and how to create a position for his next family member, FEMA is providing disaster relief in Iowa, and will be ready and will begin to fund disaster relief the minute a hurricane starts heading this way. When the hurricane hits Mac will be heading to higher ground, while FEMA gets ready to help Jacksonville. Did you ever wonder what 1000 guillable sheep sound like? Listen to the "ameners" after Mac makes his ridiculous statement that he hopes the federal government doesn't get involved after a hurricane. And anyone wonders why Mac can do what he does and not be held accountable? St. John's County Churches: Here Comes the Big Dog! Today, June 21, 2008, FBC Jacksonville is launching the initial stage of its "satellite" ministry into St. John's County, the county bordering Jacksonville's Duval County to the south. This is the county experiencing rapid population growth, and this growth just so happens to be - lucky for FBC Jax - rich white people! FBC Jacksonville has decided that there are not enough churches currently in this area ministering, or the ones that are there and view this area as their mission field aren't doing a good enough job. So what is needed? A church plant with a new pastor to minister to people's needs in that area? Of course not - what' s needed is a place where people can come to get some of Mac Brunson's teaching! The first stage of FBC Jacksonville moving south begins TODAY, as the training sessions begin for approximately 30 couples who will be hosting "in home churches" or "in home Bible studies" in the St. Johns County area from 6:00 to 8:00 pm on Sunday evenings, beginning very soon after these couples complete their weekend training sessions. These will be viewed by the church as extensions of FBC Jacksonville - according to Mac even the homes themselves will be inspected by our crack staff of executive pastors and staff members to ensure the home is suitable and safe (hope we've updated our church insurance policy to include coverage at these people's homes!). According to Mac even child care will be provided in the homes during the 2 hour "home bible study". "Yes, getting you into my home to study the bible these past few months was part of a well thought-out scheme we started early in 2007 to allow my pastor to start a satellite church in this area. Satellite churches are like a branch of a bank, or a McDonald's franchise, or a Starbucks coffee shop. Just like you may be getting a new Bank of America branch here in your area to make it more convenient for you, well you're getting an "FBC Jax Branch Church" in your area, and you know what, congratulations, you've just won a genuine Majorca pearl necklace, and membership in a new SATELLITE CHURCH! You see my pastor and his marketing firm decided that since this area of town didn't have any good churches or decent pastors who knew enough of the Bible (and history) to reach you, and since not enough people were coming downtown to hear him preach, that we could start a "satellite church". He told us when he cast his "Vision" for this satellite church that to start he would drive to the satellites and preach live until we get the live video feed from the "mother church". I know you like this in-home bible study we have, but this was just a ploy to get you moved over to the satellite so you could watch Mac on a video screen, and we could pass what we call an "offering plate". But until we get the live feed going (those are VERY expensive you know, so we'll be holding a "special offering" at the satellite to pay for it but we'll cross that bridge when we get to it) he'll drive from his modest home in Deerwood to preach to, er I mean minister to us on Sundays. What's that? Will we be a stand-alone church? No, not really. Our preacher is not legalistic except in the area of tithing (and anonymous emails), so you'll hear sermons about how you need to give 10% of your income to receive God's blessings, and that 10% will go straight to the church downtown. But don't worry, they're really good stewards of the money downtown. Although we can't see any detail whatsoever in how its spent by our trustees, TRUST ME, we don't spend money on lavishness, so don't worry about that. No money goes to enriching the pastor and allowing him to live a lavish life style. We'll be great stewards of your money that you drop in the offering plate. In fact, we'll be doing you a favor, since this satellite will be a real money loser when it starts until we indoctrinate you and the others with the idea of "tithing"...then when we get the revenue flowing from this satellite, we will be able to launch another one somewhere. So, welcome to the FBC Jax family! Oh, and by the way, if you have any questions about the church, don't send any anonymous emails, the pastor HATES those." - Did Mac reach out to the other churches who are in this area and let them know of his intentions, and maybe see what their long-term strategies are for reaching this area of our metroplex? Or does Mac know precisely that what God wants is a FBC Jax down there irrespective of what other churches are doing? - When Mac cast the vision it was all about how we were going to get his excellent sermons down there to the satellites - he could drive he said because he doesn't mind preaching multiple times a day, until we get the live feed. Does St. John's County really need Mac Brunson sermons - live or feed? - Mac told us last fall that the way to reach our city was to start a school - that "knocking on doors doesn't work anymore". So to butter us up for his Wednesday night unannounced vote to take $500,000 from our church funds to start a school, Mac told us that a FBC Jax school is a MUST to reach people. OK, so where do we start the school? Downtown where apparently no one likes to come to church because we are building a satellite church! So if its to reach people why are we putting it downtown, since the growth (and the people with the money) is to the south? And we already have an excellent church facility downtown - with many needed renovations and upgrades - but we are now focused on spending money for a satellite church and a school. So the logic is: build a church downtown to reach people where we know it will be hard and expensive for them to drive to every day - and we'll start a new church out in the suburbs so these people don't have to drive downtown to the excellent church we already have. Sorry, but my brain doesn't compute all of that. What it does mean is we all better DIG DEEP...we need half a million for the school, and we'll need big bucks to start our FBC Jax South Branch in St. John's county. And then the capital fund raising program for our local campus can't be too far behind. - I do want to remind everyone that Mac cast the same vision for FBC Dallas - starting satellites - but he left and it died on the vine. I guess God wanted Dallas to build satellites so long as Mac was there, but when he left suddenly God wasn't in it anymore. Seriously though - I hope that our 30 trained lay people starting these in home churches are open and honest with those that they bring into their home about the ultimate purpose - that is for FBC Jax to expand its brand into St. John's county. Was FBC Jax Secretly Converted to a Form of "Elder Led" Governance? Update 6/20/08: Click here to read a story about an arrogant mega church pastor who converted to elder rule so he can have his way, so that he doesn't have to build consensus on his ideas or have to deal with church members to get his way. Ironic this same arrogant mega church pastor is also launching a satellite ministry to broadcast his sermons. Sound familiar? The people of First Baptist Church should be concerned. They should be very concerned. One of the hot topics around the SBC is church governance. Our church, as have most SBC churches been historically, has always been "congregation led". That is we believe in the priesthood of the believer, and that major decisions of the church are brought to the congregation for a vote. We have more been committee-led of course, but the committees are determined by the congregation. Yes, we've had strong, very strong pastoral leadership, but our bylaws officially recognized the power of the congregation. Why is this important? Suppose the congregation determines the pastor is unfit for service for some moral failing. How is he removed? The church membership can call for a special business meeting, and take a vote on the pastor. That's just one very important reason why a church should be "congregation led". 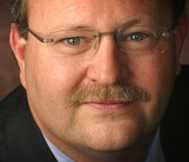 Unfortunately, on November 28, 2007, Mac Brunson presided over a special business meeting that modified our bylaws. The entire business meeting can be listened to here. You will notice that there is not one single mention of the changes to be voted on, and no discussion is asked for. Making matters worse, the bylaws changes were NOT widely disseminated prior to the meeting, but instead serial-numbered copies were put in the library for inspection and were not allowed to be copied or removed from the library. Thus only a very small number of people read these changes. As you'll hear in the business meeting, there were two motions voted on: one was the change of the bylaws, the other was a change to the articles of incorporation increasing the maximum number of trustees to accommodate the changes in the bylaws. As I said ZERO explanation of the nature or substance of the bylaw changes, but the changes to the articles were read verbatim. Clever move. If the above is true - and I have not read the bylaws so I can't confirm this - but these can be confirmed or refuted if someone would provide a copy of the bylaws for all the members to look at - then basically the rights that our congregation had to govern the church have been taken away and given to the Pastor, and HIS group of Trustees that are nominated by him and him alone. This my friends, might not be called "elder rule", but it sure smells like it - is our Board of Trustees a cleverly disguised group of "elders" selected by Mac Brunson to rule the church? That is scary. I called on this blog here for Mac to rescind the bylaw changes and first inform and educate the church on what the changes are, and why they are necessary, then let the church vote AGAIN, once they have all the information. That of course will never happen. But what we can do is let the people read their church's bylaws. Many churches (including Calvin Carr's in Gainesville) actually hyperlink to their bylaws from the church website. Perhaps those of you out there in the Baptist blogosphere will spread the word about what Mac did to our church last December - changing our bylaws to change our form of church governance and didn't have the honesty and integrity to tell us and explain it to us. I have heard from a reliable source that the Florida Times Union is working on some sort of story about First Baptist Jacksonville for their June 29th edition - will they dare to include in their story the many unanswered questions that have arisen thus far in the Mac Brunson regime - or will it just be another Brumley "puff piece" to tell everyone how Mac Brunson is a skilled orator and drives a pick-up? When will the press ask him about the bylaw changes he ramrodded? When will they ask him about the wisdom in taking a $300,000 land gift from one of our donors to enrich himself just days after arriving here? When will they ask him about the nepotism? My offer stands: if some member will obtain a copy of the bylaws and scan them and email them to me, I'll make them available here for all of the members to read. I'm waiting. Mac Brunson in his local TV Commercial: "Why not make First Baptist your 'third place'? Come visit us, and if you do, after the service, the coffee is on me"
Well, darn it, we need to reshoot that commercial. Its false advertising. Mac invites people downtown to our church, but the coffee for our visitors is only on Mac when its convenient for him. Not every Sunday is the coffee on him, because he only greets visitors at a visitor's reception if there's nothing better to do. The coffee's on him only so long as he doesn't have a hot preaching gig to fly to, or if he's not rushing out the door to fly to the SBC, or if he doesn't have to take care of his grandchild..and of course if he has a "Holy Land" trip or cruise, gotta rush out of the service even if its the day when we have the largest number of visitors. You see, Mac is a highly paid (and I mean HIGHLY paid) CEO pastor and apparently all of his other religious and family activities take priority over rubbing elbows with the "plebe" of Jacksonville. Of course this is no surprise really - if Mac can't make it to Crime Prevention Steering Committee meetings with the likes of John Delaney, Nat Glover, Steven Wallace, Ed Austin, and Wayne Weaver (read this) then certainly he won't be able to visit very often with some Jacksonville hick who drove downtown to check out this new pastor and the big church. "People can tell a lot about the health of a church by what happens when the service is over....Much of what happens when the service is over depends on the pastor. If he rushes out of the worship center, the people will rush out too. It is my conviction that the larger the church, the more determined the pastor must be to stay after the service to speak with the people...Visitors were amazed that a pastor as prominent and as busy as he [W.A. Criswell] would take time to talk with them....It could be that success in pastoral leadership rises or falls with how the pastor treats people when the service is over." Its bad enough that Mac himself can't hang around for the visitor's reception, especially on days when we have so many visitors like Easter Sunday and Father's Day. But what makes it worse, not only does Mac not make it, but if he can't make it we CANCEL THE VISITOR'S RECEPTION. Yes, on Easter Sunday, in front of a packed house with probably HUNDREDS of visitors, dear Jim Whitmire had to announce that there would be no visitor's reception, as our Krispy Kreme eatin', pick-up truck drivin', grocery carryin' pastor had to leave to catch a flight to Morocco for his Mediterranean cruise. Sunday a week ago, no visitor's reception, Mac had to fly to Indianapolis for the SBC convention - couldn't even stay for the invitation! Father's Day? Nope, Mac can't make it, so we have to cancel the reception. Every Sunday when we have scores of visitors to our church, we need to invite them over to a visitor's reception in our new "Welcome Center". Every Sunday. EVERY Sunday. Not just when Mac feels like it. Maurillio Amorim of the A-Group, Mac's church marketing consultant: come on guy, help us out here. We're a client of yours that helps you pay your bills (you even use your work for us on your website as marketing pieces) - please tell our staff that a visitor's reception should be a priority, and its not a function to be cancelled at the discretion of the pastor. Please tell them that the visitor's reception is NOT ABOUT MAC, its about the visitor. Please tell our staff Maurillio, that for God's sake (literally), when the visitors get in their car and COME TO US, we should at least show them the courtesy of inviting them to a reception where we can give them a soda, a cup of coffee, a snack, shake their hand, and our highly (over) paid executive staff can tell them about the ministries of our church and invite them back. Even though our conference room Welcome Center that we built in 2002, well-suited for greeting and mingling with our visitors, was converted to a lavish office-suite for our pastor, we can still meet our visitors out in the lobby just outside the new pastor's suite...in fact we could give tours of the pastor's suite to let our visitors know how we would spend their money if they join the church and start tithing. Seriously: Church staff, tell Mac we need a visitor's reception every Sunday and make it happen. Every Sunday. We have enough staff to do it EVERY Sunday. Board of Trustees: would you please do YOUR job...we elected you in January to serve the church, not serve Mac Brunson...do YOUR job and make the pastor do HIS job, which is to put the needs of our church and our community FIRST...above his cruises, above his Holy Land trips, above his duties at the SBC...and GREET OUR VISITORS. Who Is More Accountable? Megachurch Pastors or U.S. Senators? "There was a time when most pastors were poor. Many still are today....But a pastor should not allow a well-meaning church to pay him an exorbitant salary"
Mac Brunson has said on numerous occasions he began his educational training believing he would become a lawyer some day. But then God called him to preach, and then God called him to be a megachurch pastor in Dallas. Then while riding a camel up Mt. Sinai, God called Mac to come to FBC Jax. Even though he admitted during the 2008 pastor's conference that he has the "smarts, drive and ambition" to be just as successful outside of church in the business world, he humbled himself to take the lowly position of millionaire preacher at a mega church. How inspiring. From a financial standpoint, its a good thing he became a preacher and not a lawyer or politician. Compared to what he's making now as a megachurch pastor, having zero accountability to the people giving the money and earning, well, an "exorbitant" salary, he has it made! Just ask the U.S. Senators. There is a law that requires Senators to annually disclose outside income earned in addition to their $180,000 salary as a Senator, any gifts they received in the prior year, and a summary of asset holdings. Yesterday, June 13th, the Senators released their 2007 disclosure reports. Headlines from the reports? Majority Leader Harry Reid reported receiving a land gift worth a whopping $14,000. Mitch McConnell received a $500 crystal sculpture. Obviously Senators Reid and McConnell don't have the "drive, smarts, and ambition" of Mac Brunson, or they would have been able to use their position to get larger gifts from the people they are supposed to be serving. Imagine if they had reported a land gift worth $307,000 from an influential developer. And only three weeks after arriving in Washington. Headlines would be made for sure. As discussed here many times, its an absolute embarrassment that our mega church pastors earn HUGE salaries and benefits without the congregation, the people giving money for church ministries, for "God's work", having the opportunity to know what cut the pastor is taking. The trend of the last 20 years is public disclosure of all public officials' salaries - for instance the salary of any Duval County agency employee can be looked up here. Full disclosure. Why is this important? Its obvious - full disclosure to the givers of the money equates to accountability. When money is allocated in secret by a select few, and when those few in control know the likelihood is almost zero that their decisions will be subject to the scrutiny of the majority of the givers, then abuse is likely. If not abuse, then at least allocations are made that don't serve the best interests of the organization. Mac Brunson and family, together with salary, benefits, and perks, reportedly earn over $400,000 from FBC Jax. Some have said its higher than that. That's exorbitant. That's disgusting. Do I say that out of jealousy? No. I say it because it's God's money that we're talking about. Its doubly disgusting considering the quote from his book at the top of this article. And we'll say its triple dog-disgusting given that he won't dare disclose his salary, benefits, perks, gifts, and outside income (outside income by the way arguably is NOT earned by his so-called "smarts, drive and ambition" but because he holds the title of "Pastor FBC Jacksoville"). And shame on us as a church to sit back and pour money into the offering plate each week. We are willing accomplices in this misuse of God's money to enrich a man and his family. Thank goodness our society has learned the value of openness and transparency in finances when it comes to our public servants. It serves us well. Too bad megachurches like FBC Jax can't hold OUR pastor servant to at least the same standard. It would serve us well to ensure God's money is not misused. Mac: "Don't Accept Gifts (Except if They're Too Good to Pass Up)"
Last week I posted an article over the hypocrisy of Mac Brunson telling other pastors in his book that its not a good idea to live in "executive homes" and drive "luxury cars"....but he himself, well, built an executive home in Jacksonville and drives luxury cars. And he in fact wasted no time in quickly building his executive home when he arrived in Jacksonville in 2006, starting construction within just a few months. "Some pastors unintentionally separate themselves from their people by living in executive houses and driving luxury cars. Billy Graham has lived in the same house and driven older cars for decades. He did not allow people to give him automobiles. He did not allow local committees to furnish luxury automobiles for him during crusades. Guard against greed. It will do you in." Problem is, Mac is holding forth one standard for pastors and seminary students using his book in their studies at seminary, but he himself is not willing to live by the same standard. Why do I say this? Well, let's review Mac's actions just weeks after he arrived in Jacksonville. 1. Mac accepted an offer to live rent-free in a multi-million dollar condo, ocean-front, at Fernandina Beach over an hour away from Jacksonville during 2006. If Billy Graham is a pastor's example of not accepting even gifts of the USE of a luxury automobile, would not the same standard apply to a pastor accepting the use RENT-FREE of a luxury, multi-million dollar condominium for a year in a town an hour away from his new church? 2. Mac just three weeks after arriving in Jacksonville signed a deed accepting a 1/2 acre piece of property in an exclusive, gated, private golf-club community called Deerwood - how much did Mac pay for this land? Zero. It currently is valued at $307,000. It was given for "love and affection", given to him by one of the donors of the church. I wrote about this gift in this article. Click here to see the deed for yourself. "In the Bible, people in leadership positions were called upon to have higher ethical standards than the other people of God. The pastor should never see how close he can come to the line between what is ethical and unethical, but he should stay as far away from it as possible"
Mac acknowledges that he as pastor should not engage in any activity that would cause anyone to question his integrity; in fact he should hold himself to a higher standard than other Christians. Could we not say then he most certainly should hold himself to a higher ethical standard than a person working for a corporation? Is it unethical for a CEO to accept a large gift from a customer or vendor - OF COURSE! Would it be unethical for a the head of the Red Cross to accept a quarter of a million dollar land gift from one of its donors! OF COURSE IT IS! In the profit and non-profit business world these actions would never be tolerated in a million years so it stands to reason that a pastor, seeking to hold himself to the absolute highest of ethical standards should avoid even the appearance of impropriety and not accept these gifts. The one exception perhaps that could be made would be a pastor of very modest means who is barely earning a livable wage from a very small church, and one of the church members decides to meet a pastor's need...which we know is certainly not the case with this large gift given to Mac. "Brother, thank you for that kind gift. That certainly is generous of you and I appreciate it very much. But the truth is that our needs have been generously met by the church already as a part of our salary, benefits, and relocation package. I do suspect that our church will have some very great needs coming in the very near future as we launch new ministries. I encourage you..if you feel the Lord leading you to give this gift to me, then perhaps the Lord wants you to give this gift to the church. You giving this sacrificial gift to the church could be a great seed to cause others to look at their circumstances and perhaps lead them to give sacrificially to the church. So please brother, hold on to that gift, and at the right time perhaps as the church faces new needs such as starting a school, or starting satellite campuses, or even renovations to our campus - the Lord may use you to challenge the rest of the church to give sacrificially." Mac could have done that. I submit that would have been the right thing. That would have been the "honorable" thing for a pastor to do - especially a very wealthy pastor who already had his needs met by his mega church. As Mac said in his sermon on Sunday 6/1/08: "Honor is doing the right thing because its the right thing to do." and "Honor is doing the right thing in spite of our emotions". After reading Mac's book, its apparent he DID know the right thing to do, but for some reason he couldn't do it. The right thing, the honorable thing, would have been to politely refuse the gift and perhaps allow the Lord to use the gift and the giver to bless the entire congregation, and also challenge the church to also give sacrificially. Mac Brunson continues to use the church, its name, its website, its ministries...to further his own agenda and to benefit friends and family. Its sad, so many in the church wish the same men that sat under Dr. Lindsay for so long would not put up with this. The jobs for family members, the spending money on a lavish office suite, the accepting of large gifts from church members, holding the Time to Stand for Israel at the request of "influential deacons", the use of the A-Group marketing firm instead of our own local staff and members...and now the "Holy Land Trip" promotion on our website. Its so sad. "My child, Mac. I love you and am very pleased with your faithfulness and commitment to me these many years. But I wonder...why do you feel you are entitled to a life of privilege and luxury because you have been faithful to preach MY word? Driving in luxury automobiles, living in exclusive neighborhoods in million dollar homes, traveling to exotic locales, not showing good stewardship of funds given to my work, accepting large monetary gifts from my sheep, using my funds to employ and enrich your own family? Was that part of my call on your life? I have many plans for the faithful members of FBC Jax, but you have been influenced by the things of this world. Return to me and I will return to you. I don't blame those sheep who are showing their love for me by showing love and generousity towards you and your family. They don't know any better and are ripe for exploitation due to their deep love for me. Please don't take advantage of them. Lead them and don't be afraid to be open and honest about every penny that is spent. Trust me. I will still supply all of your NEEDS. " URGENT UPDATE: I caution anyone considering going on this Holy Land trip to do your due diligence on the travel agent involved, "Purpose Travel" owned by Bruce Peterson, located in Irving, Texas. The company is apparently not incorporated in the state of Texas, and there is no information on the agency with the Better Business Bureau. Neither are they members of the American Society of Travel Agents. The address given on the registration form is a private residence and not a commercial establishment. I have first hand knowledge of travelers using an "on the side-travel agent", a person who does travel arrangements on the side and who have been burned badly. I urge you to contact the agent and get references and check them out before sending any money whatsoever. As far as I can tell this person is not connected to the First Baptist Church of Jacksonville; maybe a personal friend of Mac. But buyer beware!! Before I post my next article on the Pastor's Guidebook, wanted to put a quick note on the most recent abuse by the Brunson's of our church to further their own agenda. On the FBC Jax website scroll, you'll see the advertisement at right touting the next "Holy Land" trip with the "Brunson Family". 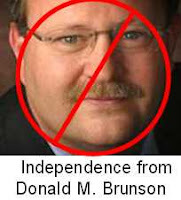 I know the Brunson supporters are all for this, and don't see anything wrong with it. But its just another example of the Brunson's using our church to self-promote. Less than 1% of the FBC Jax family could even consider going on such a trip that costs $4000 per person. If the Brunsons want to host Holy Land trips, let him do it on his own website not on our church's website. I think it also a very bad witness for our church to put this on our website - it shows perhaps misplaced priorities - we should be about ministry, about the gospel, about reaching our city for Christ, not serving as a travel agent getting people to sign up for $4000 Holy Land trips, no matter who the host is. Our church website should be all about touting the MINISTRIES OF OUR CHURCH, not trips set up by the pastor, not the pastor's latest book. This Holy Land trip is a private trip that only a very few select people from our church will go on, and it is NOT a ministry of our church. I'm not saying such trips are wrong, or that people that can afford them shouldn't go on them; I likely will go on a Holy Land trip some day. But putting it on our website, and you'll probably now see it in our Sunday bulletins as well, is too much. Most ministers who host these trips don't do it on their church websites, but instead will do it on their 501(c)3 websites where it should be. 1. Who is paying for Mac Brunson's travel expenses? Is it the church, is it Mac himself, or is it the travel agent he has selected giving Mac free travel based on the number of people who sign up for the trip? 2. What does "the Brunson Family" mean in regards to who is going on the trip? We assume his wife will go, but does "the Brunson Family" mean his grown children, spouses and grandchildren? If so, is the church paying for their transportation or is Mac paying it? 3. What relevance is it that its "the Brunson Family" going? I sure see how going with Charles Ryrie might be important, assuming he is teaching or leading the trip, but what is the significance of the other Brunson family members going? 4. This is a two-week trip. If "Brunson Family" means Debbie Brunson and Trey Brunson, are they using their vacation time to go on this trip, or is this viewed as part of their job responsibilities and thus they won't have to use their paid leave for this? 5. Is there a committee that decides what is and what is not appropriate for placement on our website? Or does Mac get to decide alone? We'll wait pastor for your answers. Or perhaps someone can schedule a meeting with Mac and report the answers here for us. Or send him an email, and then let me know the response and we'll post it here.